Discussion in 'Vintage Rolex Watches' started by Watchreport DE, Jun 28, 2010. Which is the best steel for my watch ? Why does 95% of the watch industrie use 316L steel? Why is Rolex using 904? Just a marketing reason? Very interesting, Marcus. I always suspected Rolex knew what they were doing. :goodpost: Thanks very much for the info! In spite of the naysayers, it is obvious that there is a good reason for Rolex using the steel that they do. Good post Marcus. Rolex do a lot of research before they introduce any new products. On the other hand, Marcus, didn't you show me pics (in an email) of a SINN watch actually sporting rust under the endpieces and along the caseback? that was caused by using 2 differnet types of steels in salt water! My German is a little "rusty" but I think you're drawing a long bow there mate. Rust is rust in my book, no matter what causes it. Would that have been steel 316L for the bracelet on that SINN and then "U-Boot Stahl" ("submarine steel") for the case? BTW. 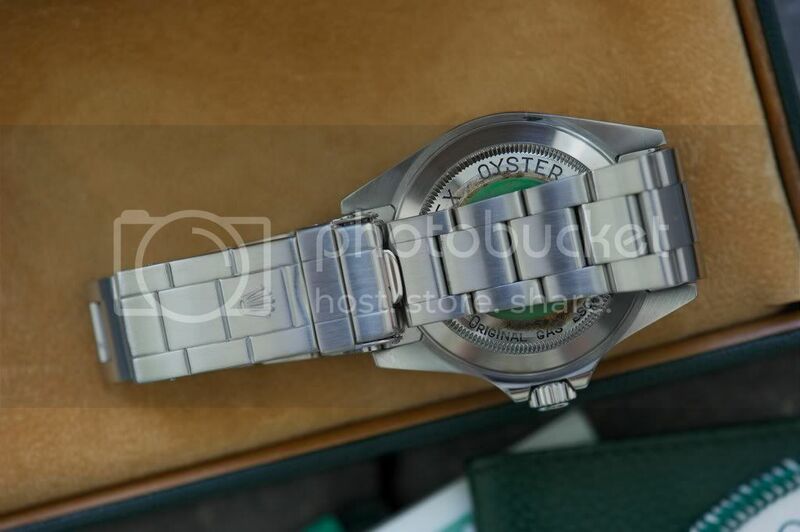 : Rolex has also used steel 316L for its BRACELETS up to the introduction of the Deepsea (where everything is steel 904L like you stated). And up to the introduction of the Rolex Submariner ref. 168000, the Rolex CASES were made of steel 316L, too. you get every material rusty, even Titan. I think the problem with the Sinn U1 range of watches ( I love them by the way) is that they are bead blasted. I used to own a few knives that had a bead blasted finish on the blades and they attracted rust like honey attracts bees. I was forever cleaning them. the U series never had a problem with the 316 bracelets, just with the 1. series of rubber strap. Thanks Marcus, that's good info to know. i'm glad they sorted it out. I was in town the other day and we have a Sinn AD now. I popped in to have a look. The U1 is an awesome watch at a great price. Now I know why and have the reasoning behind it. I figured Rolex knew what they were doing but didn't know exactly until know. Thanks! Recently, I wore my Milgauss 116400V every day for about 2 months. I noticed a rash where the mirror finish of the clasp contacted my wrist. I did some research, and believe I might have developed a nickel allergy. I applied a strip of clear tape to the clasp, and so far, it seems to work. I notice that names of 316L show Cr first, i.e., X2CrNiMo17-12-3, whereas 904L shows Ni first i.e., X1NiCrMoCu25-20-5. Maybe that’s the explanation for the contact dermatitis with 904L and not having a problem wearing my 5512 Sub? Or the type stainless steel was not as significant as exceeding my tolerance threshold for nickel? Or my experience is just another myth? The 904L more elastic = easier for polishing and better result in salty water! As you can see, interestingly steel 904L has a lot higher Nickel content.. So - in theory - the higher Nickel contents of the steel 904L COULD be the cause of allergic reactions. BUT imho it's also a question of how well the Nickel is "bonded" in the steel. (Picture from a still running Danish for sale listing).